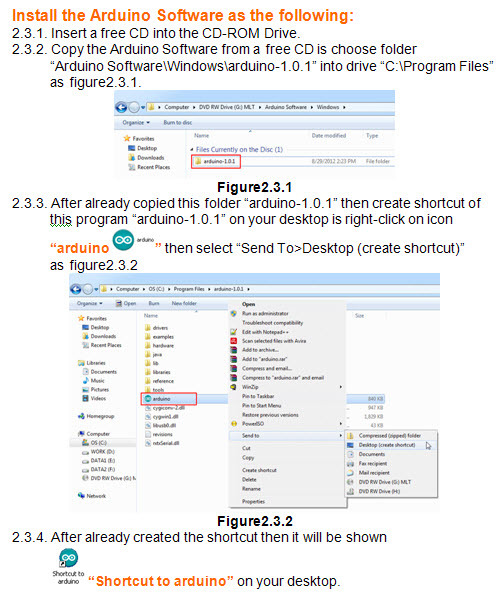 Arduino is an open-source based on a simple I/O board and a development environment that implements the processing/wiring language. 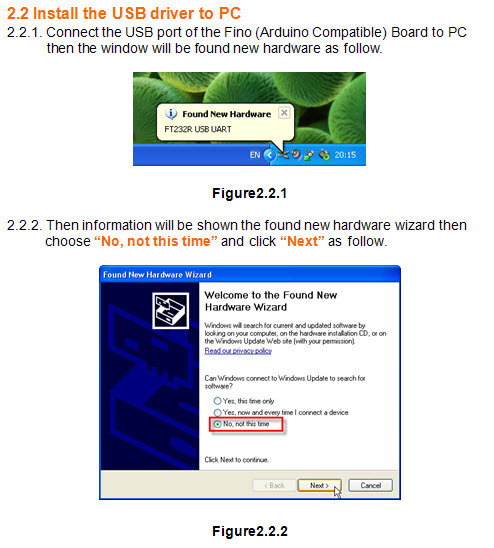 Arduino can be used to develop stand-alone interactive objects or can be connected to software on your computer. 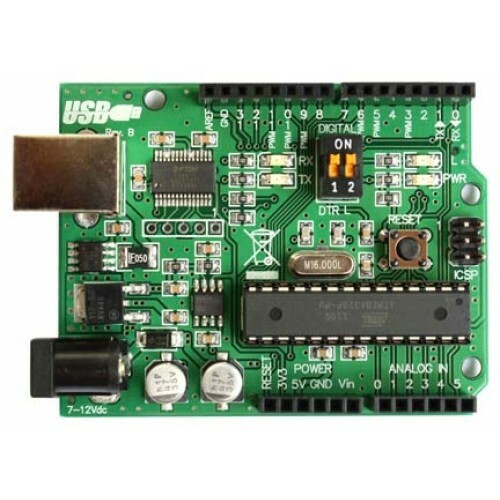 Fino (Arduino Compatible) Board is a microcontroller board based on the ATmega328 microcontroller with duemilanove bootloader, flash memory 32KB, EEPROM 1KB, SRAM 2KB, clock speed 16MHz. Supports Windows, Mac OS X, Linux. Open source. It has 14 digital input/output pins (of which 6 can be used as PWM outputs), 6 analog inputs with the standard arduino pin headers will be developed with other arduino boards and use FT232RL drive signal interface with your computer and includes 3.3VDC output for your other developments and includes DIP switch SPST to disable auto reset and the yellow LED (D13). 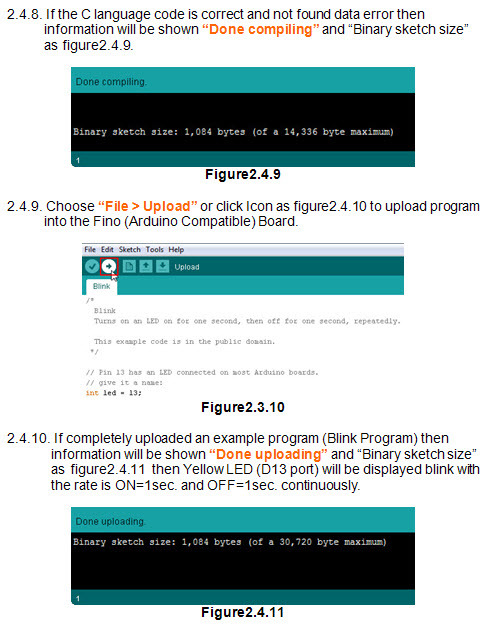 ---> More details such as Schematic, Example Programs and etc. includes in a Free CD. 1. ATmega328 28pin DIP Microcontroller with Duemilanove bootloader. 2. ATmega328 includes 32KB Memory, 1KB EEPROM, 2KB SRAM. 3. Quartz crystal 16 MHz. 4. Standard ICSP 6pins will be developed with AVR ISP. 5. 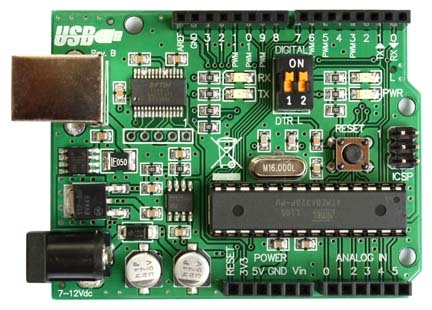 Interface with computer and upload program via USB port. 6. 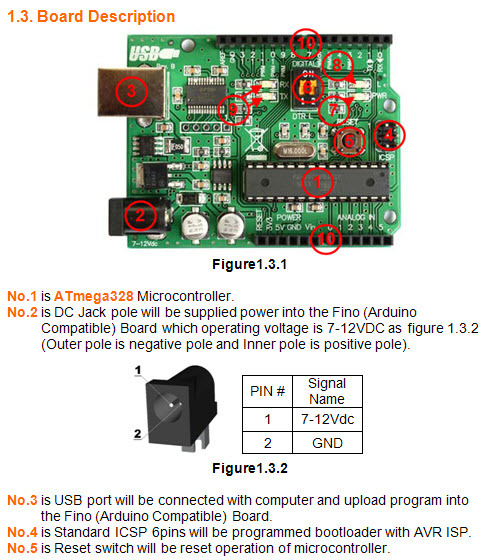 The operating voltage of the ATmega328 Microcontroller is 5V. 7. The operating voltage of the Fino (Arduino Compatible) Board is 7-12V. or with an external power supply. The power source is selected automatically. your computer's USB ports from shorts and over current. 10. Digital Input / Output are 14 pins (PWM 6 channels). 11. Analog Input is 6pins. 12. 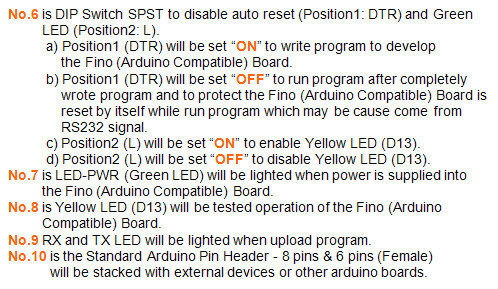 DIP Switch SPST to disable auto reset and the yellow LED (D13). 13. FT232RL drives the signal interface with computer. stacked with external devices or other arduino boards. 15. Includes 3.3VDC output from FT232RL for your other developments. 16. Board Dimension is 53.3mm(Width) * 68.6mm(Long) * 15.0mm(High). 1. 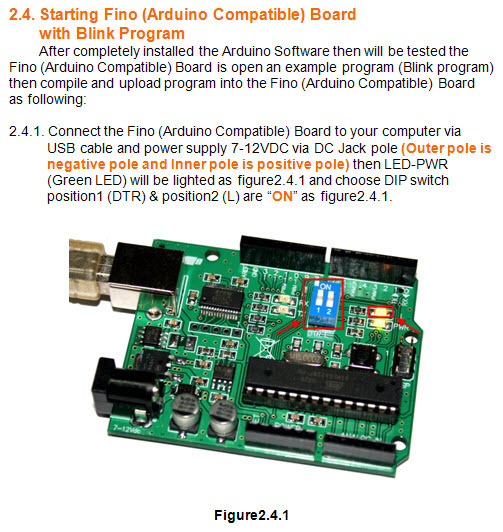 Fino (Arduino Compatible) Board 1 pcs. 2. Free CD (includes manual, schematic, example programs) 1 pcs. 1. ML-Technology (MLT) sells products on Ebay. If you will buy our product via Ebay. 2. ML-Technology (MLT) accepts Paypal payment. If you will buy our product via Paypal.